Ok, so you’ve started your virtual done-for-you business (CONGRATS!!!) and you either aren’t sure what to offer to get clients or need to revisit your offerings to better serve your clients and bring on some new ones. HOORAY! Girl listen, I’ve seen so many clients get stuck in this place and I want you to know this doesn’t have to knock you off your badass-business-dreams-horse. To help you work past this silly little block today, I’m sharing my 5 simple steps to set (or reset) your virtual business offerings right meow. STEP 1: Write down a list of everything you’re great at that relates to a service, skill or offering. Don’t worry about which skills are the "right” skills and focus soon brain dumping erryyyythanggg you already know how to do. PRO TIP: If you get stuck here, go take a peek at past resumes and job descriptions. So often we forget all the skills we’ve acquired over the years and this is a great way to remember them. Also, what are the things friends and family ask for your help with? Even if they seem small, write those suckers down! STEP 2: Write down a list of stuff you’re OK at OR that you want to learn more about. PRO TIP: This is a great place to add systems or skills you haven’t mastered but do have knowledge around OR things you don’t know yet but would be willing to take the time to learn (on your own time/dime). STEP 3: Write down a list of stuff you really dislike doing and don’t want to offer to clients. PRO TIP: Don’t worry if this “stuff you hate doing” list feels like something that is in high demand in the online space. You started your business to ENJOY what you do, right? You make the rules, sister. Remember that! And you no longer have to do things you really, truly don’t like doing. When I was running my OBM/VA business, accounting was on my hell-no list and I was a-ok with that! STEP 4: Take a highlighter and circle the items that call to you the most. These are the skills that you either love, love, love doing or really want to learn more about. PRO TIP: Remember, don’t add anything to that list that you don’t like doing...even if you’re afraid that by doing so clients aren’t going to want to work with you. Again, the goal here is to build out offerings that align with what YOU want, not to pigeonhole you back into a job that made you do stuff you hated doing. STEP 5: Write down all of your highlighted skills, services and use THOSE going forward as your offerings. You can package these up together if they fit (like Social Media Management) or list them all off as a la carte services that you offer as part of your virtual work on your website. PRO TIP: Want an easy way to go through this process? Grab my FREE download right here to walk you through this entire 5 step process to setting (or resetting) your business offerings. BONUS! You’ll get a peek at my favorite new platform (MemberVault) which is where the freebie is hosted. If you’re doing virtual work serving online entrepreneurs in the backend of their businesses you need to know about this platform! 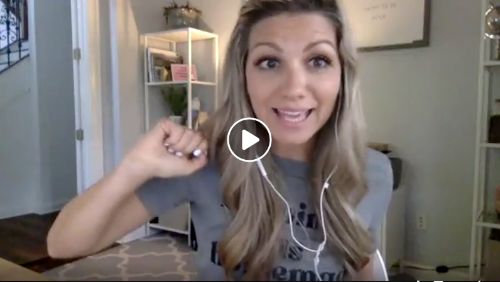 And, if you prefer to watch or listen to my 5 simple steps to set (or reset) your virtual business offerings, check out this Facebook LIVE I did on this exact subject right here! Sara Wiles is an Online Business Mentor for done-for-you service providers. She helps Virtual Assistants, Online Business Managers and Social Media Managers go from frazzled to focused, stark to sold out and bewildered to balanced. Through her unique, personal mentoring style she supports her clients through confidence building, clarity gaining, mindset managing and massive action taking. She spent 8 years traveling the US producing high-end corporate (and a few celebrity) events before becoming an entrepreneur. After just 4 weeks of starting her business, she filled her roster, replaced her 9-5 income and brought on a team. Sara is also a wife, mama, dog mama, exercise enthusiast, champagne connoisseur and four-letter word addict. Click here to book a free call to talk more about your business goals and to see if mentoring would be a fit to help you achieve those dreams.